For those of us who are unable to attend Book Expo America in New York this week, there is Armchair BEA, an online networking event for bloggers worldwide. Yesterday’s BEA topic was an introductory post where participants provided a little information about themselves and their blog. I was busy most of yesterday and only got to visit a few of the many blogs, so I will be doing more of that today. Today’s topic: Mediums that feature more than just words to enhance a story and a discussion of books that stand out in these different formats. As a child, (many years ago), I remember having interactive pop-up and picture books, but once I learned how to read on my own, interaction didn’t seem necessary. The story itself came alive in my mind and transported me away. Illustrations do go without saying in young children’s books, but I am also fond of whimsical illustration in adult books. 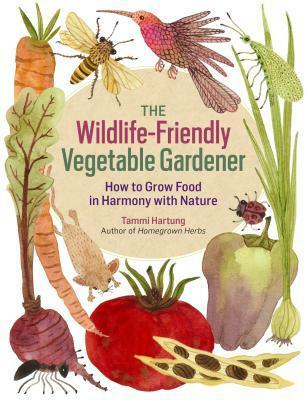 Rather than use photos, The Wildlife-Friendly Vegetable Gardener includes plenty of cute drawings to highlight her organic gardening process. 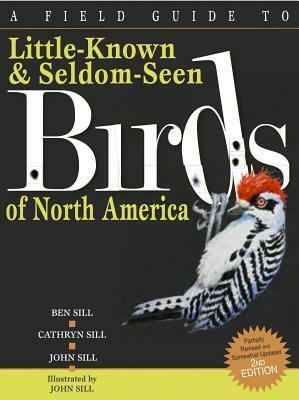 Little Known and Seldom Seen Birds of North America, a humorous (and fictitious) bird guide, is filled with color illustrations to accompany the text. I have stumbled across some good cookbooks that have used illustrations rather than photos, but I’m not a big fan of that practice. I’m not an inexperienced cook, but I still find a photo of the finished dish helps me more than a drawing of an ingredient, no matter how cute it may be. I’ve only read a couple of graphic novels. This is a format I have yet to embrace. They remind me a little too much of comic books. If anyone has any fantastic suggestions, I would like to try a few more. I love audiobooks! Many times they are mostly words, but sometimes the production can be so much more. An excellent narrator can make all the difference (Hint: Anything narrated by Cassandra Campbell, John Lee or Neil Gaiman – even reading the phone book!). Multiple narrators are another way to enhance the production. When there are changing points of view it is much better to have more than one narrator rather than a single narrator trying to do both male and female voices. That rarely works and can quickly drive me crazy. Shotgun Lovesongs used five narrators and the result was a beautifully narrated audiobook that was both easy to follow and enjoyable to listen to. Fortunately for listeners, audio productions are getting better and better, with more emotion, drama and passion in the narration. You only have to listen to a book from the previous decade – and the difference is stunning – to realize that previously books were just words being read. Some audio productions are now including sound effects and background noise. There is a fine line in being able to pull that one off, and too many times all the sounds get annoying. Recently I listened to a book that got it right. 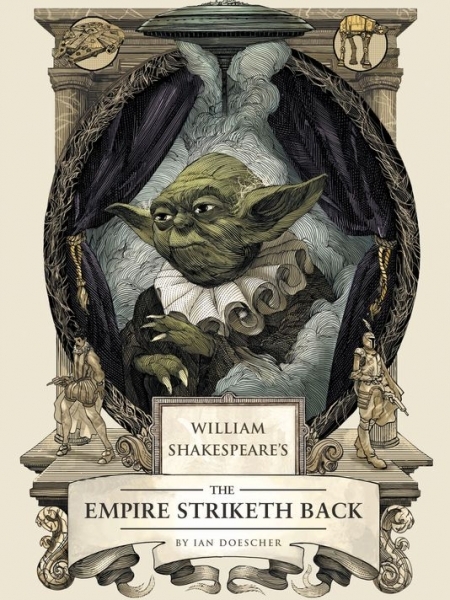 It was fantastic – better than the print version – and that book is William Shakespeare’s The Empire Striketh Back: Light sabers buzzing, R2D2 whistling, Chewbacca’s roar and Darth Vader’s booming voice and heavy breathing, plus a narrator giving stage direction all combined to create an entertaining production. How about you? Which formats do you enjoy? Multiple narrators and sound effects remind me of radio plays. I used to listen to them on long trips in the UK. The BBC is very good at producing them. Have you ever heard a radio play? LOL, yes I am! I think I have audio listening down to a science. I mostly listen to non-fiction in the car. That way if I don’t drive for a few days I won’t forget the plot. My current “in the car book” is The Future of the Mind by Michio Kaku. It’s very interesting but it’s taking me a while to listen because I don’t drive enough and my husband only likes music when he’s in the car. Imagine that! I have listened to a few of the BBC productions but that was a few years back. Nothing recent. I have yet to enjoy sound effects in an audio book. Obviously I haven’t listened to the right one. The only one I’ve enjoyed was the Star Wars book. It was actually fun to listen to. I love so much Shakespeare Star Wars, I need to try the audio version! I love books with multiple narrators…and as a kid, I loved gorgeous illustrations, like I found in my Alice and Wonderland book. 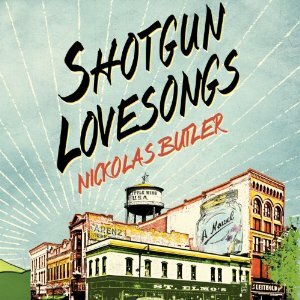 I’ve got Shotgun Lovesongs in print, but I think I will get it on audio instead. I love Cassandra Campbell too, just started listening to Hunted. Can you believe I’ve never listened to an audiobook?? Love the audiobook recommendations. I will have to check them out.